Ghost stories - just about every city and town have them. The question is: Do you believe? 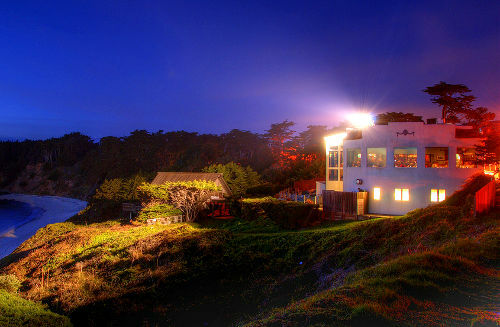 Next time you're in San Francisco, check out these popular haunted spots. Who knows, you just might meet some old spirits. 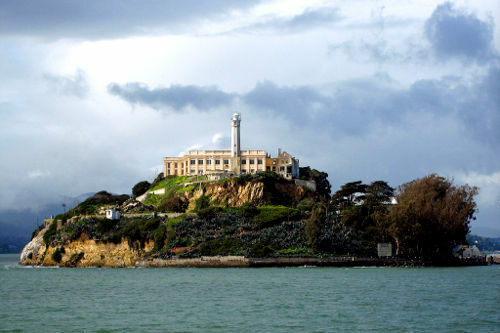 Alcatraz is famous for the infamous inmates it once housed and for the souls that still reside there. Even while it was still a working prison there were reports by inmates and guards of strange noises, voices and apparitions. Golden Gate Park is supposedly haunted by several ghosts. One, a police officer, pulls over drivers and issues speeding tickets. When the tickets go through the court system it’s discovered that the police officer has been dead more than 10 years. Another ghost resident of the park is a woman who, in the 1920s or 1930s, either drowned while looking for her toddler who fell into the lake or killed herself in the lake after hiding a pregnancy from her family and the disposing of the baby. She has been seen walking around Stow Lake looking for her baby. Lady Cameron hid Chinese immigrants in the basement of her home to save them from lives of slavery and prostitution. She had the basement doors of her Chinatown home sealed shut so that police inspectors could not investigate the bottom floor. The house did, however, have a secret passageway that allowed the immigrants to move in and out undetected. Rumors spread about Lady Cameron‘s refugees and someone burned the house down killing everyone in the basement. A church stands on the site now and the basement doors are still sealed and have red and gold charms on them to seal in the spirits. White figures have shown up in photographs taken in the basement. 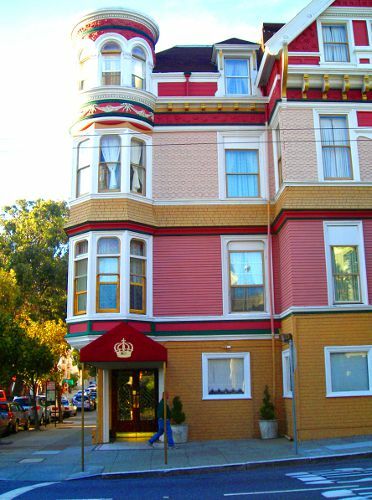 Built in 1887, the Queen Anne Hotel used to be a girls school and is said to be haunted by the school’s owner Miss Mary Lake. She is supposedly a friendly spirit and likes to make guests feel at home even, occasionally, hanging up clothes and tidying up rooms. Built 1927, the San Francisco Art Institute was built on the site of an old cemetery. People have reported hearing footsteps and seeing apparitions, perhaps of the old ‘residents’. 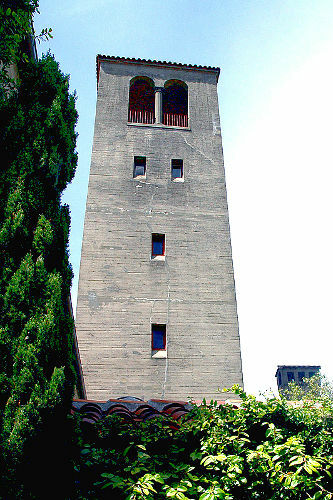 A séance was held there in 1968 in response to many near fatal accidents while renovating the tower. 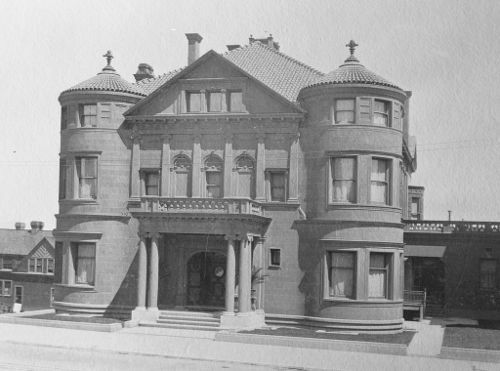 The Whittier Mansion, which survived the 1906 earthquake, is said to be haunted by its original owner, William Franklin Whittier. Numerous sightings of a shadowy outline of a figure and an ice cold presence in the basement have been reported over the years. Mr. Whittier died in 1917 at the age of 85. The Haskell House is said to be haunted by Senator David Broderick. He was wounded by a gunshot wound in a duel with State Supreme Court Justice David Terry in 1857 and taken to his friend Leonides Haskell’s house where he died three days later. Judge Terry wanted California to become a slave state and the Senator was a critic of the state’s new laws that allowed a white person to claim a freed slave as their own property. The house was confiscated by US Army and is military quarters today, located in Fort Mason. Many of the officers who lived there have reported seeing Broderick’s ghost pacing back and forth. 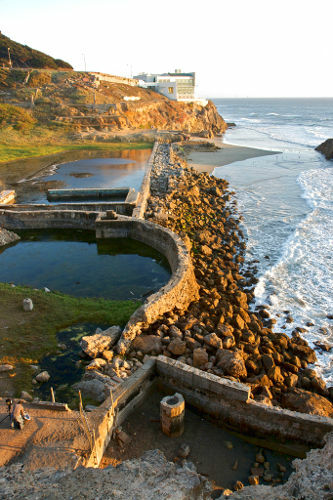 Built at the turn of the last century, the Sutro Baths was once a popular recreation center. It burned down in 1966 but people still come to visit its haunting ruins. Screams can be heard in the tunnel where, the story goes, people were sacrificed. It’s been said that if you visit the baths at night and light a candle at the end of the tunnel, someone will come and throw it into the ocean below. The Mansions Hotel is very proud of their ghosts-in-residence but for those who do not want an unearthly encounter the hotel consists of two mansions – the old one is haunted, the new one is not. The hotel displays it’s history of séances, affidavits of witnesses and photographs of ghosts. Reports of flying objects, cold shadows and apparitions have been numerous and the hotel has been investigated by the Office of Paranormal Activity at JFK University, who reported powerful electromagnetic forces. Sylvia Browne also visited the Mansions Hotel and felt the presence of spirits. Once featured on “Unsolved Mysteries”, Moss Beach Distillery is haunted by The Blue Lady, a woman named Mary Ellen who died in horrific automobile accident more than 70 years ago. The story goes that she had an illicit love affair with the piano player at the distillery and often came to see him wearing a blue dress. The Blue Lady is credited with turning lights on and off, moving furniture, locking doors from the inside and tampering with the computer system.